Any experienced mother knows appreciates the advantages of a nursing pillow. 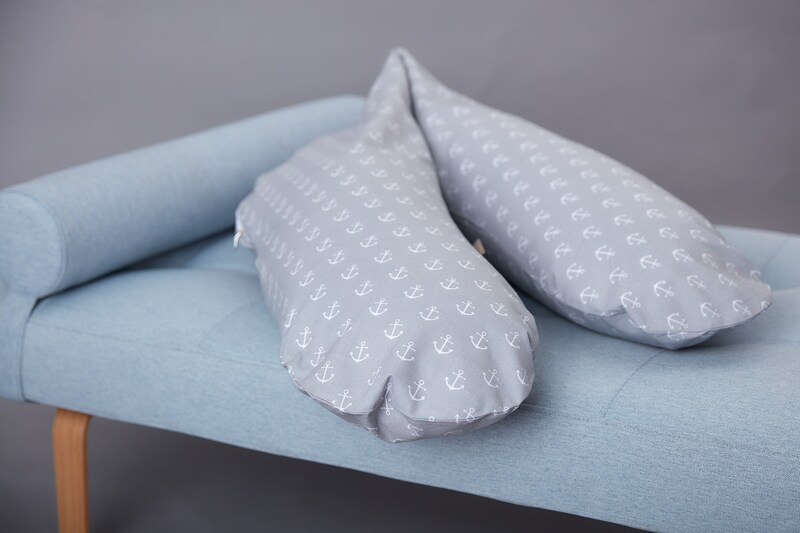 The Kraftkids nursing pillow is not only unbeatable when it comes to comfort – it promotes not only the much-needed sleep, but also serves as an indispensable aid when breastfeeding. It has a shape which adapts perfectly to your body. And if something "is spilled", no problem - simply pull off the cover and put it in the washing machine! The zipper is located in the inner curvature and is thus not only invisible, but also does not interfere when lying or breastfeeding. Tolles Produkt und super Kontakt. Genau wie abgebildet, tolle Qualität und erstklassige Optik! (1) Anbieter und Vertragspartner für die dargestellten Waren ist KraftKids GmbH, Waldnieler Straße 225, 41068 Mönchengladbach, Telefon 02161 53 977 49, E-Mail info@kraftkids.de (im Folgenden kurz „Anbieter“). Um Ihr Widerrufsrecht auszuüben, müssen Sie uns (KraftKids GmbH, Waldnieler Straße 225, 41068 Mönchengladbach, Telefon 02161 53 977 49, E-Mail info@kraftkids.de) mittels einer eindeutigen Erklärung (z.B. ein mit der Post versandter Brief, Telefax oder E-Mail) über Ihren Entschluss, diesen Vertrag zu widerrufen, informieren. Sie können dafür das beigefügte Muster-Widerrufsformular verwenden, das jedoch nicht vorgeschrieben ist. (1) The Vendor and contracting party for the merchandise presented is KraftKids GmbH, Waldnieler Straße 225, 41068 Mönchengladbach, phone 02161 53 977 49, e-mail info@kraftkids.de (referred to hereinbelow as the “Vendor” for short). (1) All product prices are total prices plus shipping costs.Prices include VAT. To exercise the right of withdrawal, you must inform us (KraftKids GmbH, Waldnieler Straße 225, 41068 Mönchengladbach, phone 02161 53 977 49, e-mail info@kraftkids.de) of your decision to withdraw from this contract by an unequivocal statement (e.g. a letter sent by post, fax or e-mail). You may use the attached model withdrawal form, but it is not obligatory.